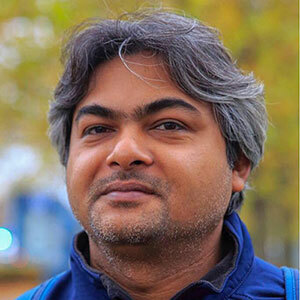 Tanim Ahmed has been a journalist for more than 20 years covering development, poverty, international trade, energy, climate change, environment, agriculture and war crimes trials in Bangladesh. He was at the scene reporting on the Bali Roadmap in 2007 that has set the course of climate negotiations since then. Tanim was also present in Cancún in 2003 when the Doha Round trade talks broke down. Having been part of an agro-ecological profiling project of small farmers across Bangladesh, Tanim travelled to all corners corner documenting the hopes and aspirations of peasants in the rural countryside. His reports on food scarcity Bangladesh’s north were crucial in triggering serious government interventions in that region in the mid-2000s. Tanim Ahmed has an avid interest in spy thrillers and a dedicated brother of the briar. An astute pro-environment journalist, Abu Siddique has a nose for smelling stories, especially those with a climate change angle. Working for some of the leading national dailies of Bangladesh including Dhaka Tribune and Daily Sun for the better part of the last decade, Siddique has explored the remotest corners of the country in search of stories that have often made headlines and hit the talking points. 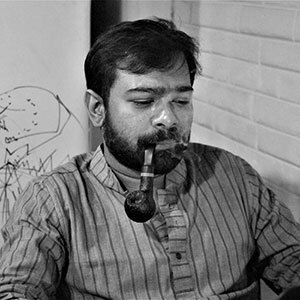 He is one of only a handful of journalists from Bangladesh who writes extensively for influential global portals The Third Pole and Climate Change News. He is active away from home as well, having participated in all the climate change COPs since long and filing stories on burning issues such as adaptation and mitigation, indigenous knowledge, climate change protocols, etc., that have become topics of international discussion.